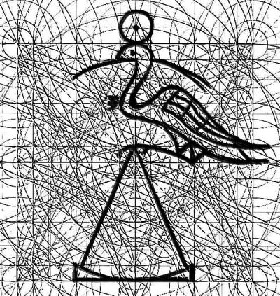 The Bennu represents creation and renewal. The sacred bird of ancient Egypt, the prototype for the phoenix. The word Bennu comes from the Egyptian verb Weben meaning to rise and shine. © Copyright 2010 - 2018 Ade Lucas.